We know that staying in a regular hotel room for more than a few days can be difficult. Regular rooms don’t give you a lot of space to move around in, they aren’t set up to make you comfortable for more than a couple hours per day, and they never feel like a space that is yours. Luckily, at Studio 6 in Plano, we have a way to make your time in a hotel a pleasure. Our rooms have more space, they feature kitchenettes, and our suites give you bigger beds and even more room. 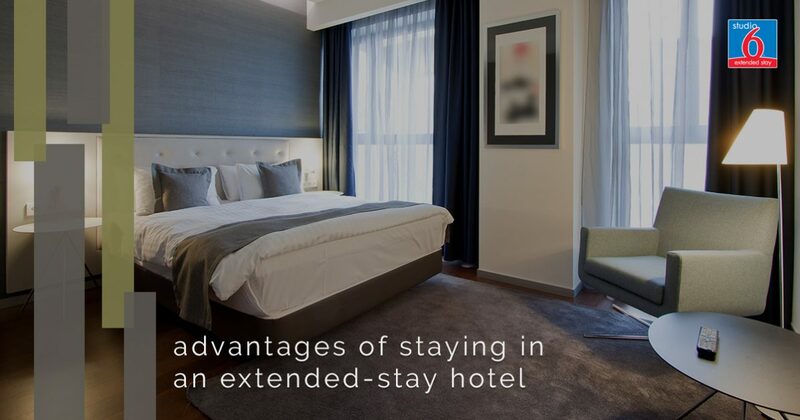 Read on to learn about just a few of the advantages that our hotel has over other hotels and then contact us to book a room! Our extended-stay hotel is built with your comfort in mind. Instead of having to cram yourself into a tiny room, our rooms are designed to let you relax and move around in your room like you would in your own home or apartment. We know how important it is to feel like you can stretch out and relax, and in our rooms you can. This is especially true in our suites — extra rooms make your stay even better, and if you’re travelling with your kids, you’ll appreciate being able to let them have their own space. Every one of our rooms has a full kitchenette so you can cook for yourself instead of having to spend a lot of money eating at restaurants for every meal. Being able to cook meals will also make your stay feel less like you’re in a hotel and more like you’re at home. Instead of having to buy an expensive cup of coffee everyday, you can use the coffeemaker in your room. Our amenities don’t stop there. Because you are staying with us for a while, we know that you’ll need to do laundry at some point. Instead of forcing you to go to a laundromat, we have coin-operated washers and dryers in the hotel. While this might not seem like a huge deal, think about the last time that you had to gather up all of your dirty clothes, drive to a laundromat and then sit there waiting for your clothes to get done. It isn’t fun. Unlike other hotels, we also have free wifi for all of our guests. We know how important it is to be able to check your email when you’re waiting to hear back about a possible job or medical news, so we want to make sure that you don’t have to use up all of your data or hope that you have a signal. Our hotel also allows you to bring your pets with you so you can take care of your furry friends while you’re in Plano! Contact us today to learn more about our rooms or to book your next visit to Plano! We want you to experience the best possible standard of living when you stay with us, and one look at our rooms will show you that we take this seriously.